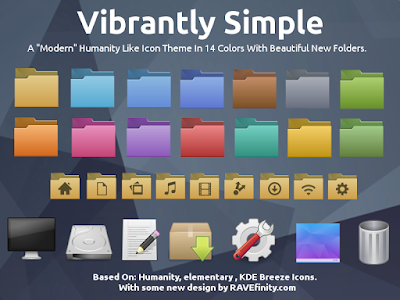 Vibrantly Simple is an modern continuation of the Ubuntu Humanity Icon Theme, While still keeping Humanity's simplicity and good points the theme aims to modernize several dated elements of Humanity. 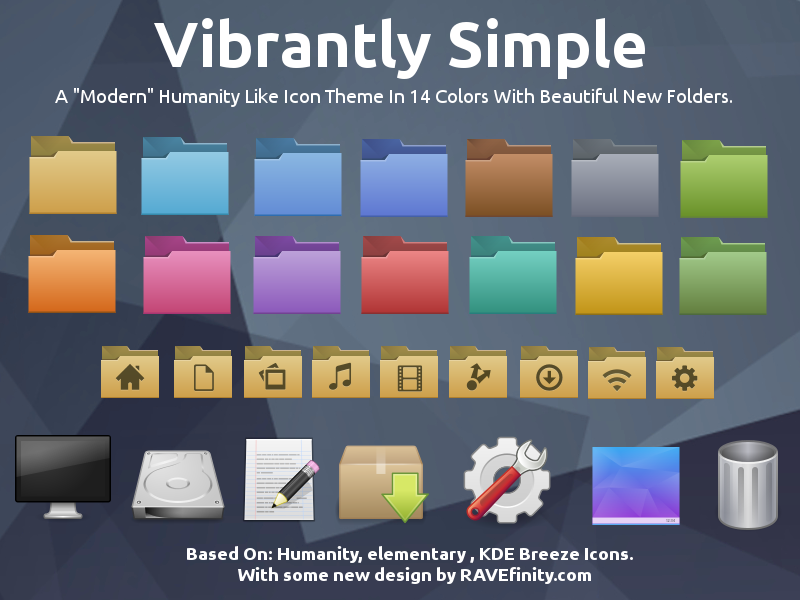 It features new modern looking folders and system icons in your choice of 14 colors. Sorry This theme is not supported anymore. And is not tested on distributions above 16.04 LTS. May not work on distributions newer then 2016. 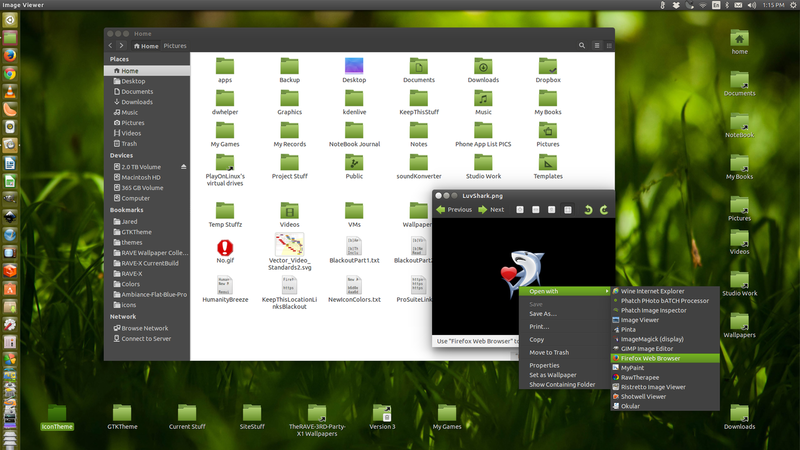 Theme requires about 55 MB Of Disk Space. Stock Manila Folders , Blue, Aqua, Graphite, Blue Vivid (Dark), Brown, Green, Green Viva, Purple, Red, Pink, Orange, Teal and Yellow. Vibrantly Simple-Dark - Dark Monochrome Panel Icons. Vibrantly Simple-Light - Light Monochrome Panel Icons. 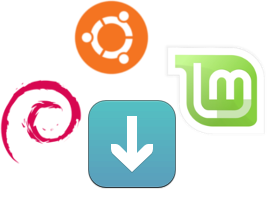 Please Support: All the great Open Source projects who make up this theme and make it possible.